Hannah wore a beautiful A-line Ellis Bridals dress on her Wedding Day which flattered her petite figure perfectly. She was very specific about exactly how long the dress should be and wanted the hem to just float on the floor. Dala, our exclusive and very experienced seamstress, pinned all the layers and we encouraged Hannah to spend some time walking around our spacious boutique to ensure it was just perfect! 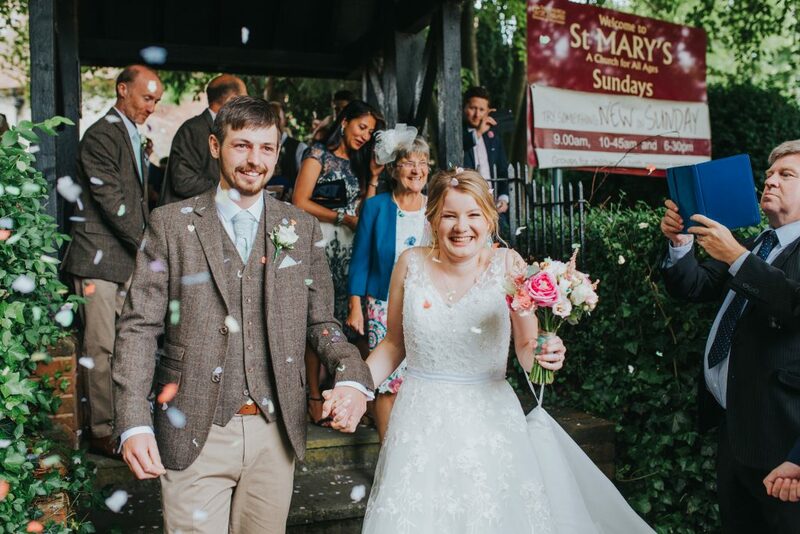 The happy couple celebrated their Wedding Day at The Great Barn in the beautiful grounds of Basing House, Hampshire with catering provided by Foresthogs. These wonderful images were captured by the talented Charlotte Razzell Photography. Thanks again so much and I hope you are well. 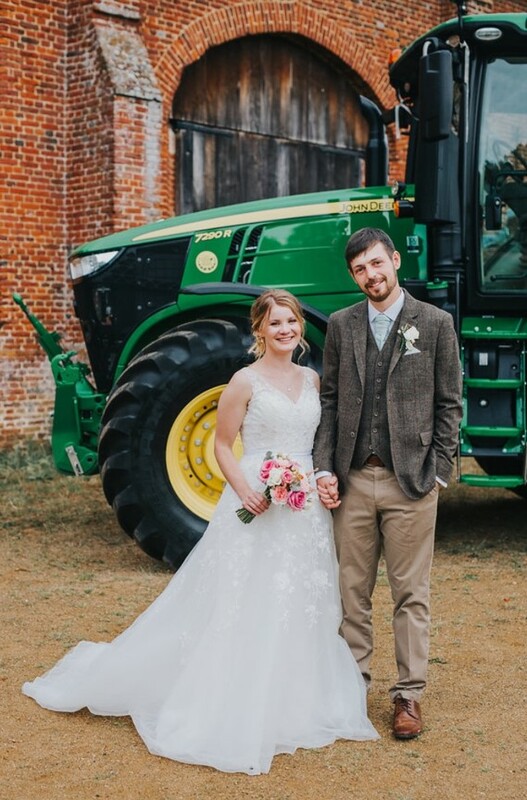 Wedding Day Special Guest – The Tractor! Dress: Ellis Bridals at Sass & Grace.